Entre les Rangs revisits the agricultural history of Quebec to contextualize a dialogue with a contemporary urban context. 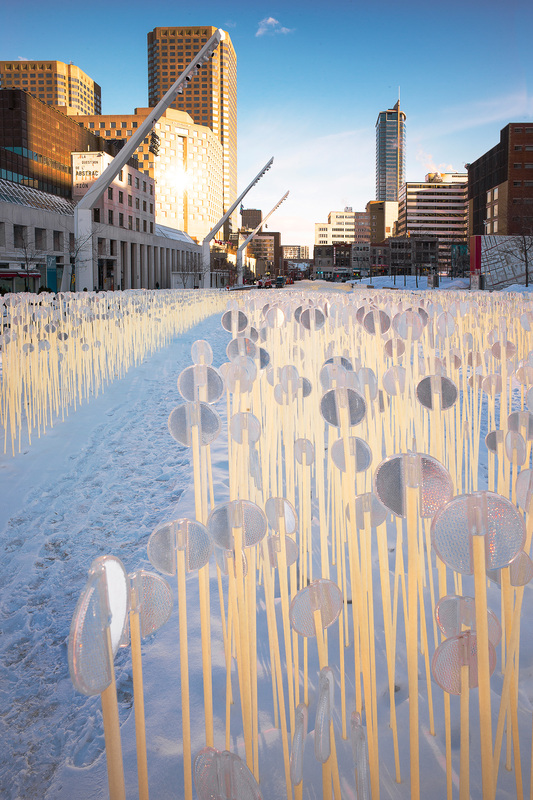 As a reference to Quebec’s wheat fields that undulate in the wind and through the seasons, the installation comprises thousands of flexible stems topped with white reflectors that take advantage of the surrounding stimuli to create an ever-shifting array of animation. 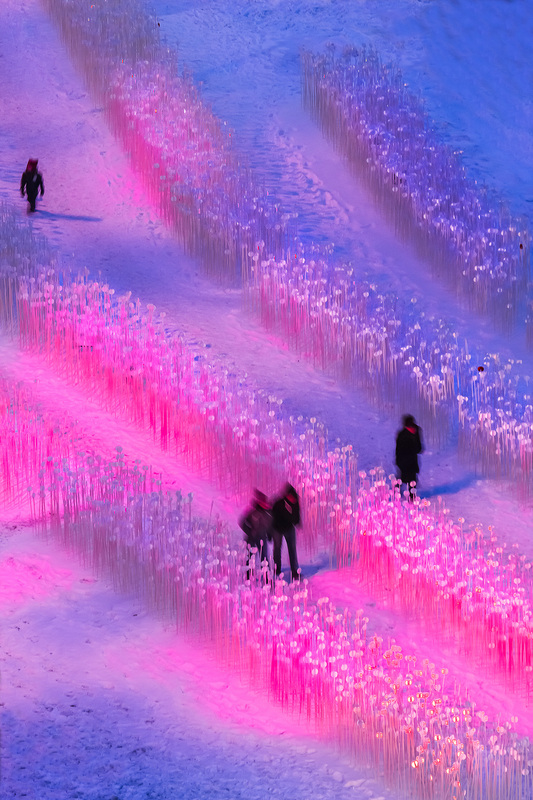 Immersed in a sensory experience, visitors walk through a series of winding paths, where the stems merge into a large canvas agitated by the wind, caressed by light and carried by music. "The winning projects are separate entries with separate projects but they share one site and one convening organization. 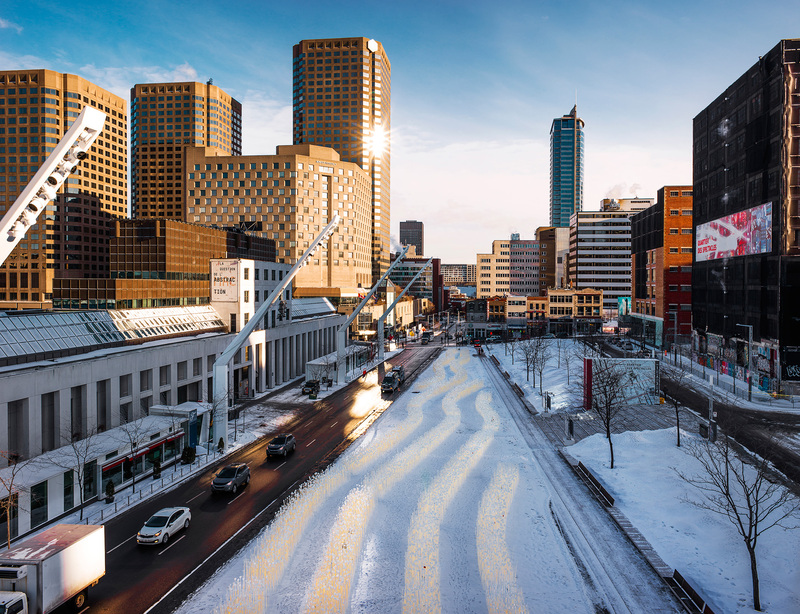 They both feature winter installations that epitomize the best effects that urban fragments can achieve. 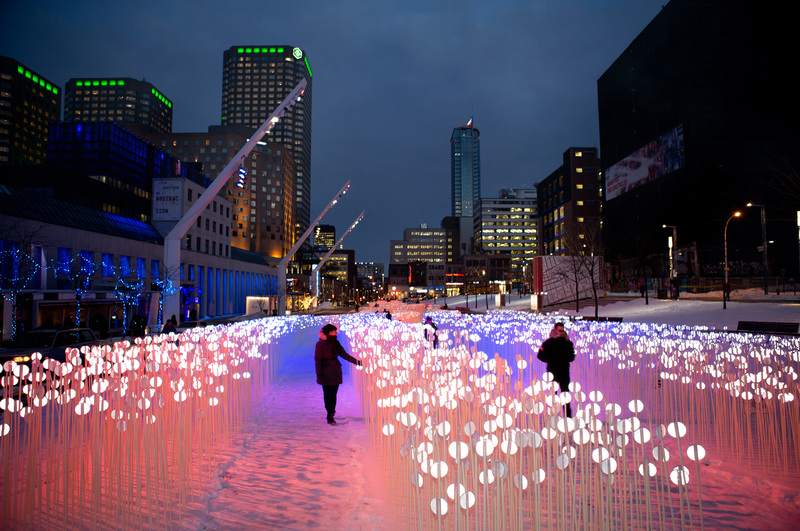 Both projects creatively reconceive the experience of being in Place des Festivals that is otherwise inhospitable to the winter pedestrian. 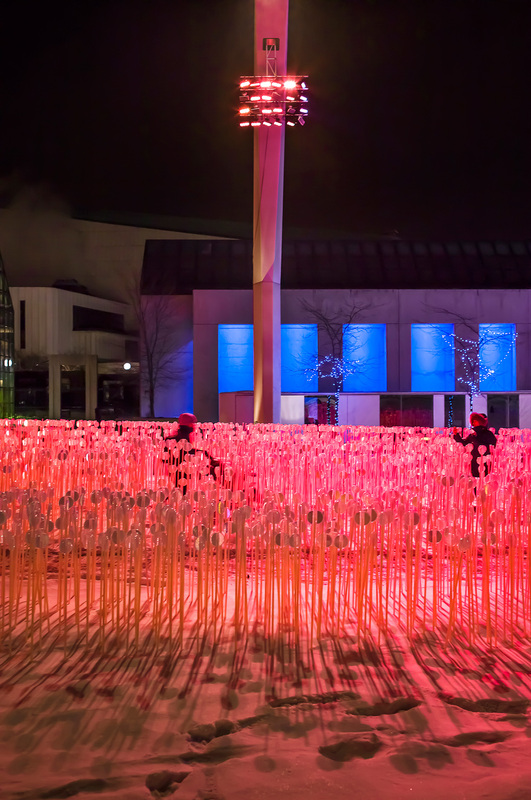 In Entre les Rangs, the installation recalls Quebec’s wheat field history with thousands of flexible stems. The effect is inviting, educational and playful."